Following are highlights of findings from the CRIC Study. For access to the full-text manuscripts refer to the links provided on the bibliography page. Genetic loci predisposing to coronary artery calcification (CAC) (e.g. chr9p21, COL4A1, ATP2B1 and ABCA4) were identified in CRIC, and found to relate to CAC in independent samples, as well as to myocardial infarction in a general population sample. Chronic kidney disease (CKD) imparts a high risk of coronary heart disease and studying CKD samples may aid discovery of novel disease genes and pathways. In CRIC participants without heart failure, serum cardiac troponin T (cTnT) is associated with left ventricular hypertrophy (LVH) and LV systolic dysfunction but not with LV diastolic dysfunction. In CRIC participants without heart failure, N-terminal pro-B-type natriuretic peptide (NT-proBNP) had strong associations with prevalent left ventricular hypertrophy (LVH) and LV systolic dysfunction. Retinopathy is associated with an increased likelihood of cognitive impairment which suggests that evaluation of retinal microvascular abnormalities may be a promising tool for identifying patients with CKD who are at increased risk of cognitive impairment. Findings from CRIC indicate that there is a relationship between 24-hour urinary sodium excretion and proteinuria that is modified by a number of clinical and demographic factors which reduce the contribution of dietary sodium on 24-hour excretion. Low serum bicarbonate is an independent risk factor for kidney disease progression, particularly for participants with preserved renal function. The risk of heart failure is increased at serum bicarbonate above 24 mEq/L. The CRIC study indicates that abnormal calcium and phosphate metabolism, insulin resistance, and declining kidney function are associated with the prevalence of high coronary artery calcification, independent of the traditional risk factors in patients with chronic kidney disease. New urine marker identified which may help doctors better forecast which patients with chronic kidney disease will lose kidney function more quickly. Greater severity of retinopathy in CRIC participants is associated with increased prevalence of any CVD and this association persists after adjustment for traditional risk factors for CVD. This suggests that retinovascular pathology may indicate macrovascular disease even after adjustment for renal dysfunction and traditional risk factors. Retinal vascular pathology may reflect renal disease. Results show a strong association between the severity of retinopathy observed in eye fundus photographs and kidney function. This association remains after adjustment for traditional and non-traditional risk factors for chronic kidney disease, suggesting that retinal vascular pathology may reflect renal disease. Depression affects over 25% of CRIC and H-CRIC participants. Antidepressant medications are used in only a third of CRIC and H-CRIC participants with severe depression. CRIC and H-CRIC participants of racial/ethnic minority backgrounds and with more severe CKD are much more likely to have depression. Higher FGF23 levels are independently associated with higher levels of inflammatory markers in patients with CKD. Disordered mineral metabolism is more severe and potentially develops earlier in the course of CKD in patients with diabetes compared to those without diabetes. Despite high prevalence of depressive symptoms in individuals with CKD, the use of antidepressant medications is low. Individuals of racial and ethnic minority background and with more advanced CKD have a greater burden of depressive symptoms and lower use of antidepressant medications. Hispanics with chronic kidney disease (CKD) are found to be more likely to have diabetes and uncontrolled hypertension than non-Hispanic blacks and whites. Abnormalities in hematologic, metabolic, and bone metabolism parameters are also more prevalent in Hispanics with CKD. Hispanics with chronic kidney disease are found to be at higher risk of left ventricular hypertrophy than non-Hispanic whites, and have more severe coronary artery calcification than non-Hispanic blacks. CRIC data question the common assumption in nephrology that measured GFR is a better indicator of "kidney function" than estimated GFR. The fundamental question in nephrology regarding what is the 'gold standard measure' of 'kidney function' in research and clinical care is investigated. Use of loop diuretics in CRIC participants is associated with greater urinary calcium excretion, higher parathyroid hormone levels and greater likelihood of secondary hyperparathyroidism compared to no use of loop diuretics. These associations are attenuated if there was co-administration of thiazides demonstrating that diuretic choice is a potentially modifiable determinant of secondary hyperparathyroidism in CKD. Levels of the bone remodeling regulating cytokine, osteoprotegerin, are not associated with differences in bone mineral content, or circulating markers of bone metabolism in CRIC patients. However, higher osteoprotegerin levels are associated with greater aortic stiffness even after accounting for other vascular risk factors. Results from the CRIC Study reveal that increased FGF23 is a common manifestation of CKD that develops earlier than increased phosphate or PTH elevation. Thus, FGF23 may be an early biomarker of disordered mineral metabolism in the initial stages of CKD. Results from the examinations of the relationship between estimated GFR and coronary artery calcification demonstrate the independent relationship between differing levels of coronary artery calcium and renal function. Brachial artery systolic blood pressure and aortic pulse wave velocity are both associated with variations of proteinuria in patients with CKD. Data from the CRIC Study establishes a link between early stages of chronic kidney disease and atrial fibrillation. Ocular fundus pathology is present in about 45% of CRIC participants, a finding that supports recommendations for complete eye examinations in individuals with chronic kidney disease. Presence of retinopathy is associated with higher prevalence of cardiovascular disease (CVD) even after adjustment for traditional CVD risk factors. This suggests that retinal vascular pathology may be indicative of macrovascular disease, and that the assessment of retinal morphology may be a valuable tool in studies of CVD in chronic kidney disease. Hypertension is shown to be very common, affecting almost 90% of CRIC participants. Almost all participants with hypertension are aware of their diagnosis of hypertension and receive treatment. However, many participants with hypertension do not achieve blood pressure control to levels recommended by treatment guidelines. Among 2,879 participants in the Chronic Renal Insufficiency Cohort Study, participants with the lowest income or who were unemployed have higher serum phosphate concentrations than those with the highest income or who were employed. In addition, when compared to whites with the highest income, both blacks and whites with the lowest income have more than twice the likelihood of hyperphosphatemia in multivariable-adjusted analysis, irrespective or race. 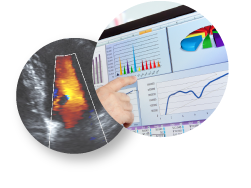 Pulse wave analysis derived measures are associated with carotid intima media thickness (IMT) and plaque in CKD. Of these measures, central pulse pressure had the strongest association with carotid IMT and plaque. Among 3612 black, white and Hispanic adults with mild-to-moderate chronic kidney disease from seven U.S. CRIC clinical centers, nearly half of whom had diabetes, low levels of kidney function are associated with low socioeconomic status and increased prevalence of cardiovascular disease.